A month after baby panda Yuan Zai’s birth in a Taipei City zoo she’s now been reunited with her mom. A month after a baby panda nicknamed Yuan Zai’s birth in a Taipei City zoo she’s now been reunited with her mom. Nine-year-old Yuan Yuan gave birth to Yuan Zai in July following artificial insemination in March. Baby Yan Zai is the first panda to be born in Taiwan. The baby panda has been in an incubator since her birth as panda cub deaths are fairly common due to infection and suffocation by their substantially larger mothers. 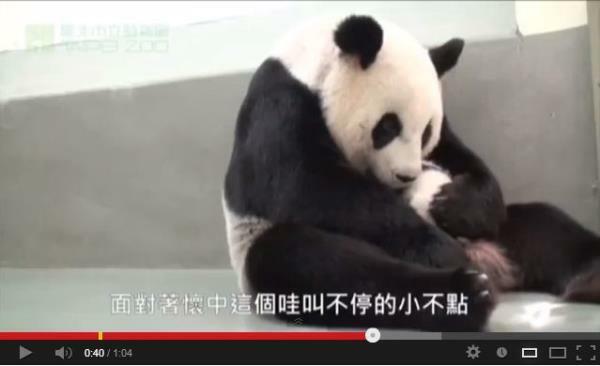 A YouTube video of the reunion shows Yuan Yuan immediately picking up her cub and breastfeeding it. Yuan Yuan and her mate, Tuan Tuan, were donated to Taiwan in 2008 as a sign of friendship between China and Taiwan, which were split following a civil war in 1949. Together the pandas’ names mean “reunion”. After Yan Zai’s birth Taiwanese officials confirmed the cub would remain on the island. China’s pandas are usually only on loan and any cubs born abroad must be returned to the mainland. Only 1 600 of this threatened species still occur in the wild.